Two-time Emmy-nominated producer Scott Popjes brings a collab­orative leadership style and keen sense of storytelling to every project he’s involved with — and his success in development, production and post production make him a triple-threat in today’s fast-paced and constantly evolving world of reality and documentary television. Scott’s experience is far-reaching and diverse — ranging from feature films and television (documentary & reality) to movie trailers and multimedia elements of theme park attractions. He has worked on projects for Netflix, Discovery Channel, History, NatGeo, Animal Planet, CMT, Spike, TLC, PBS, Paramount Studios, Walt Disney Studios, 20th Century Fox, and Landmark Entertainment, among others. Since 2004, Scott’s tenacity in delivering a polished and entertaining product has garnered him continuing work in reality and non-fiction television. Equally comfortable in the field and in post, his goal on every project is to engage an audience with compelling stories that contain the most interesting characters, while maintaining an authenticity that’s the hallmark of television’s best docu-reality series — and vital to bringing audiences back week after week. As a producer, Scott has worked on Discovery Channel’s Emmy nominated Dirty Jobs with Mike Rowe, American Chopper, American Hot Rod, Swamp Loggers, History Channel’s Sandhogs, H2’s Serial Killer Earth, Spike’s World’s Wildest Police Videos, CMT’s Swamp Pawn, Nat Geo’s 21st Century Warship, FYI’s Zombie House Flipping, Animal Planet’s Treetop Cat Rescue, as well as pilots for History Channel and TBS. Most recently he completed Car Masters: Rust to Riches, an 8-episode series for Netflix, and is currently Showrunning History’s new Drive Block series The Ride That Got Away. In addition, he is actively developing new non-fiction, documentary, and scripted projects. Before applying his storytelling skills to reality television, Scott worked as writer, producer, director, or editor on a wide array of projects including theatrical and home video trailers and EPKs for independent film distribution companies; documentary programs for PBS, Warner Brothers Music, KABC-TV Los Angeles, Miami Rescue Mission, American Lung Association and Centers for Disease Control; as well as home video trailers for Disney’s Buena Vista Home Entertainment. He edited the Special Collector’s Edition DVD bonus features for Star Trek V: The Final Frontier; Star Trek VI: The Undiscovered Country; Lara Croft Tomb Raider: The Cradle of Life (Paramount Pictures); and Firefly: The Complete Series (20th Century Fox); as well as the DVD release “Ray Harryhausen: The Early Years.” Scott also produced and edited various theme park presentations for Landmark Entertainment, where he also edited multi-media film displays for Paramount Parks’ $80 million themed attraction Star Trek: The Experience in Las Vegas. His forays into feature films have included post-production supervising and editing the award-winning (Crystal Heart Award – Heartland Film Festival) feature comedy Best Man in Grass Creek as well as the Lions Gate action-drama The Long Ride Home starring Ernest Borgnine, Randy Travis and Eric Roberts. Most recently, he edited the feature-length mockumentary The Lutefisk Wars. Scott received his B.F.A. in Film & Television from NYU’s Tisch School of the Arts, where he wrote, produced, directed and/or edited numerous award-winning short films. 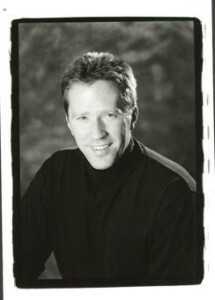 Scott is an active member of the Producers Guild of America and the Academy of Television Arts & Sciences.